For Assemblers everywhere, the secret to living better is found in community - because we are stronger together than alone - and in the principle of altruism. Some have come to understand the path to goodness without god(s) is the same. 1: unselfish regard for or devotion to the welfare of others charitable acts motivated purely by altruism. 2: behavior by an animal that is not beneficial to or may be harmful to itself but that benefits others of its species. COMMUNITY CALL TO ACTION: As a community, we are collecting personal items (toiletries/clothing/etc.) for the Youth Services of Arbor Circle at EVERY Sunday Assembly. 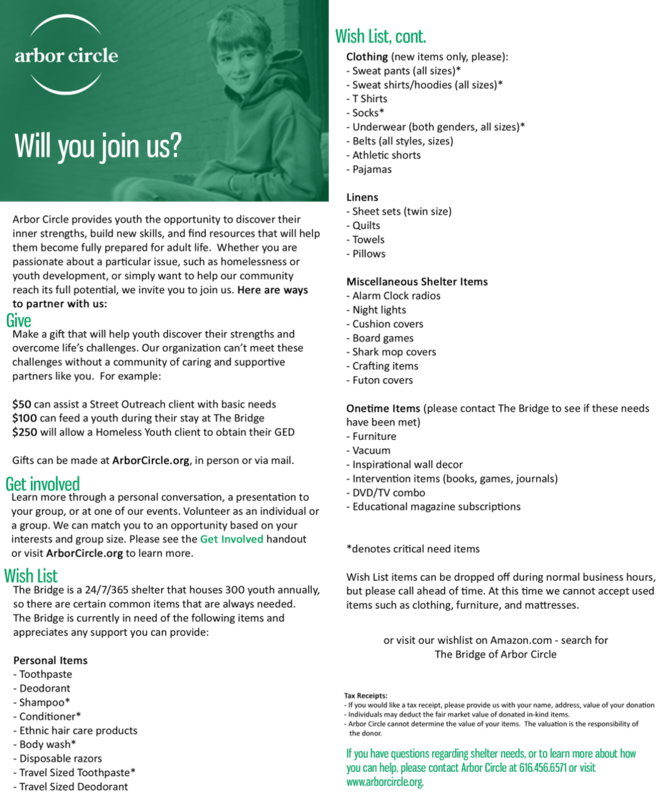 Look for the donation box in back of the meeting space. 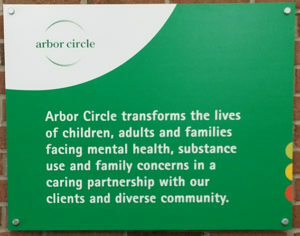 For specific details and more information on The Bridge/Arbor Circle, talk to your SAGR Organizers, or look at the Youth Services of Arbor Circle critical needs list. We also post this list on our SAGR Facebook group.